The Northern White Rhino species faces imminent extinction as only three remain on Earth. 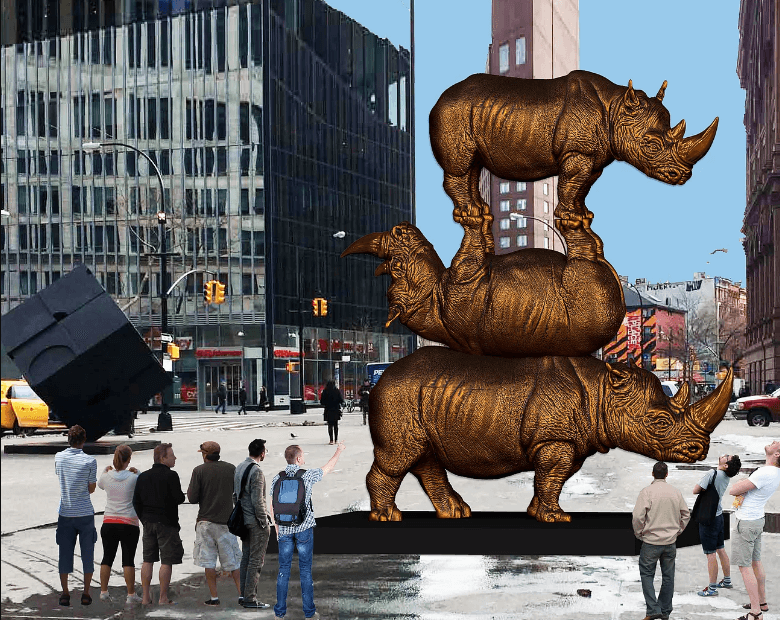 To raise awareness, a husband-and-wife sculpting duo are creating the largest rhino sculpture in the world and installing it in Astor Place (h/t Time Out). Gillie and Marc plan on putting $150,000 of their own money behind the project and created a Kickstarter page to raise the additional $50,000 needed to complete it. If all goes according to plan, the sculpture, titled “The Last Three,” will be installed in January 2018. 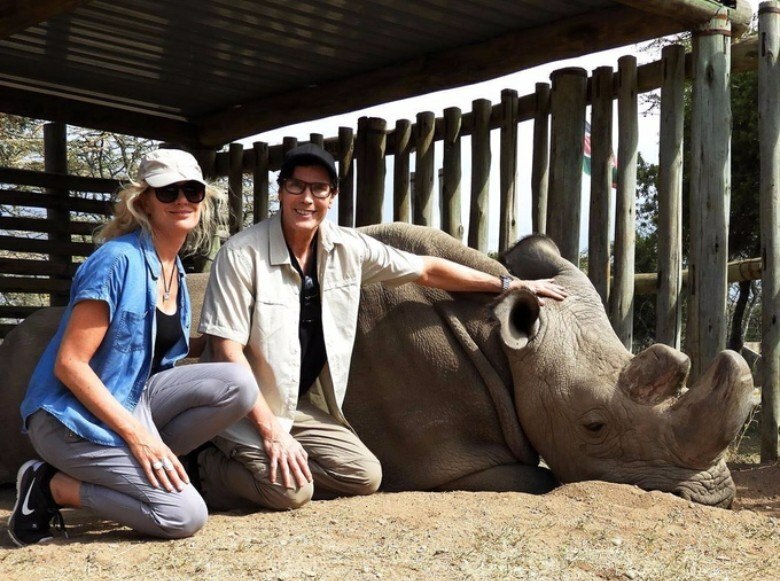 Poachers have pushed the Northern White Rhino into extinction from hunting the species for their horns, which some believe contain healing powers. “The Last Three” monument will feature the remaining rhinos, Sudan, Najin and Fatu, as life-size bronze sculptures. The horns of the rhino will be painted with gold patina, drawing attention to the illegal value of the horns and the cause of the rhino’s extinction.